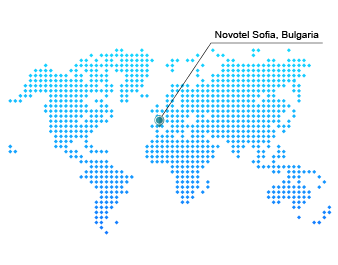 If you have work to do in The MALL business area, Novotel Sofia is the place to stay. This new 4-star hotel provides latest generation rooms and meeting rooms with state-of-the-art equipment in Sofia's main business district. 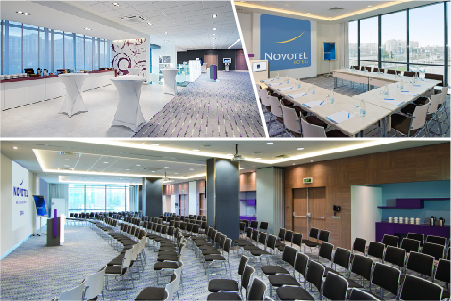 With plenty of entertainment options at the adjacent mall and views of the city or Vitosha Mountain, it is a pleasure to do business at Novotel. Have the best breakfast in town in our modern restaurant or at our fancy bar.International dining at the Nouveau Sens Fitness area with sauna; massages on request Banquet and wedding facilities Video games room for kids of all ages.